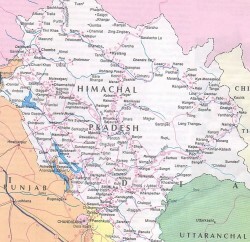 Eight persons were killed and dozen others injured when the overloaded commercial multi-utility vehicle they were travelling were rolled down into 500-feet deep gorge near Kihar on Chandi-Kandwara road in Chamba district in Himachal Pradesh. Seven persons, including two women and a child, died on the spot while one injured person succumbed to his injuries on way to the hospital on Thursday night. Fifteen injured persons were rushed to hospital at Salooni and later referred to civil hospital at Chamba. The bodies of all the victims have been extricated from the wreckage of the jeep and sent for postmortem. Most of the victims were locals and the cause of accident is yet to be ascertained but eye-witnesses said that slippery road conditions due to heavy rains caused the accident. 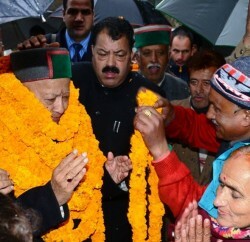 Governor Urmila Singh and Chief Minister Virbhadra Singh have expressed grief over the accident. The Chief Minister directed the district administration to provide immediate relief to the next of kin of the deceased and ensure best treatment to the injured. He wished speedy recovery to the injured and peace to the departed souls.